Photographing a black hole? – Physics says what? As teased earlier this month, today the Event Horizon Telescope (EHT) project announced and presented the first ever photographs of a black hole — “the last photon orbit.” Another epic story of big science and an international team. The interplay of models and simulations, data capture, and complex processing. And funding. Much news coverage. Here’s an article by Space.com: “Eureka! Black Hole Photographed for 1st Time.” I’ll add other articles later. And in case you’re wondering about Sagittarius A*: The EHT team hopes to get imagery of that supermassive black hole soon, Doeleman said today. The researchers looked at M87 first, and it’s a bit easier to resolve than Sagittarius A* because it’s less variable over short timescales, he explained. In addition, the shape of an event horizon can reveal whether a black hole is spinning, said Fiona Harrison of the California Institute of Technology, the principal investigator of NASA’s black-hole-studying Nuclear Spectroscopic Telescope Array (NuSTAR) mission. Black hole silhouette. Credit: Event Horizon Telescope collaboration et al. Actual press conference starts after ~38 minutes in video. 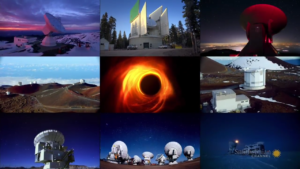 Time – Scientists from The NSF Hold Conference on Results from The Event Horizon Telescope. Scientists from the National Science Foundation hold a news conference on the groundbreaking results from the Event Horizon Telescope, releasing the first image of a black hole – a dense mass that distorts space and time, with gravity so strong not even light can escape. Veritasium (published on Apr 10, 2019) – which explains the 40 microarcsecond (μas) image, with links to additional information in the description. To take a photo of a black hole, you’d need a telescope the size of a planet. That’s not really feasible, but Katie Bouman and her team came up with an alternative solution involving complex algorithms and global cooperation. Katie Bouman is a Ph.D. candidate in the Computer Science and Artificial Intelligence Laboratory (CSAIL) at the Massachusetts Institute of Technology (MIT), under the supervision of William T. Freeman. She previously received a B.S.E. in Electrical Engineering from the University of Michigan, Ann Arbor, MI in 2011 and an S.M. degree in Electrical Engineering and Computer Science from MIT, Cambridge, MA in 2013. The focus of Katie’s research is on using emerging computational methods to push the boundaries of interdisciplinary imaging. This talk was given at a TEDx event using the TED conference format but independently organized by a local community. Example: Why is the image blurry? 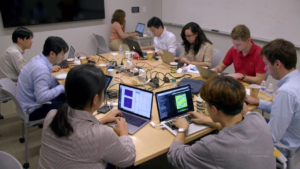 If you take an ordinary photo that contains millions of pixels, blow it up a few thousand times and smooth it out, you’ll see about the same resolution as seen in the black hole image, according to Geoffrey Crew, the vice chair of the Event Horizon Telescope. The one-hour documentary, called “Black Hole Hunters,” debuts today (April 12) at 9 p.m. EDT and at 9 p.m. PDT, depending on your time zone. It follows Harvard University astronomer Shep Doeleman and his team, which this week released the first images of a black hole, created using a networked set of telescopes called the Event Horizon Telescope (EHT). Very-long-baseline interferometry (VLBI) is a type of astronomical interferometryused in radio astronomy. In VLBI a signal from an astronomical radio source, such as a quasar, is collected at multiple radio telescopes on Earth. The distance between the radio telescopes is then calculated using the time difference between the arrivals of the radio signal at different telescopes. 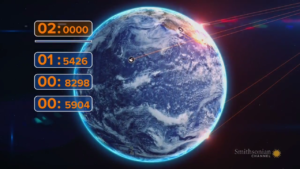 This allows observations of an object that are made simultaneously by many radio telescopes to be combined, emulating a telescope with a size equal to the maximum separation between the telescopes. Multi-messenger astronomy is astronomy based on the coordinated observation and interpretation of disparate “messenger” signals. Interplanetary probes can visit objects within the Solar System, but beyond that, information must rely on “extrasolar messengers”. The four extrasolar messengers are electromagnetic radiation, gravitational waves, neutrinos, and cosmic rays. They are created by different astrophysical processes, and thus reveal different information about their sources. 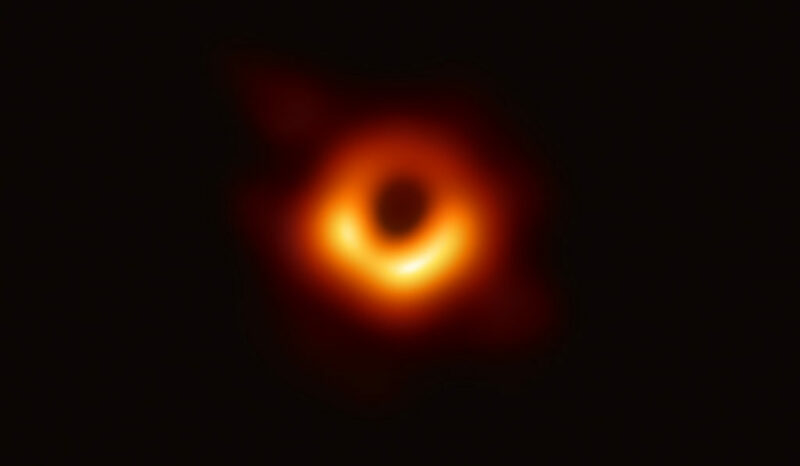 As noted in some of the articles about the photos of the massive black hole at the center of M87, these “photographs” are not like the snapshots we take with our smartphones in several ways. They are not “taken” using visible light. And the processing of radio wave data to generate pixels for the images is exceedingly complex (although smartphone photo processing, especially for low light conditions, has become more and more intensive, even permitting adjusting focus and background blur in post-processing). It’s been somewhat of a visceral breakthrough for me using infrared cameras on a daily basis: that all light — all EM radiation, not just the visible portion of the spectrum, behaves according to the same rules, e.g., regarding refraction, reflection, shadowing, etc. You might think this ring of material, or the innermost edge of it, represents that event horizon. It actually doesn’t. … That boundary is known as the photon orbit, and its diameter is about 2.5 times larger than that of the event horizon. The light you do see in this image (which are really representations of radio waves, …) isn’t just coming from the sides of the black hole, it’s coming from behind it, from in front of it, from all directions. Space and time is so warped, that some of the light orbits the black hole in a circle. The telescopes used in the Event Horizon effort were radio telescopes. That means they only “see” radio frequencies on the electromagnetic spectrum.